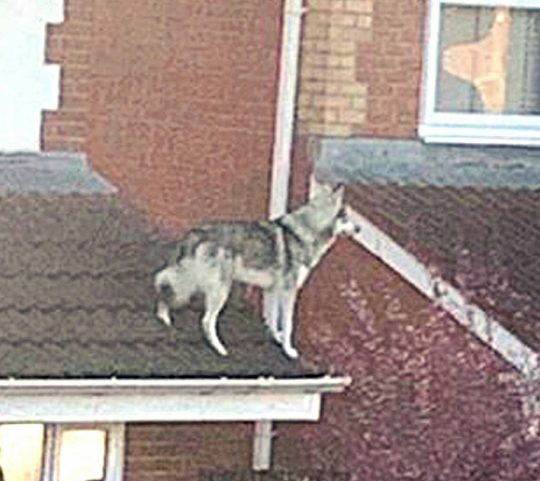 A man was shocked when a neighbour rang to tell him that his dog was standing on the roof of his house. 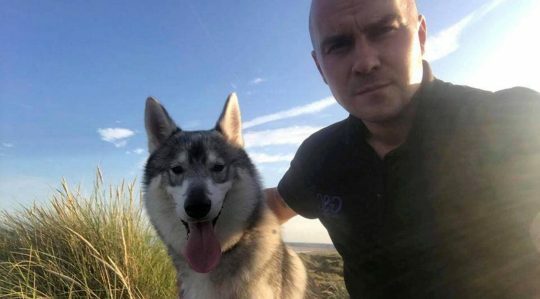 Scott Gretton had just left for work when he got a call to say his Tamaskan wolf dog Gary had escaped onto the three-foot high tiled roof at the front of his home. Scott, 31, said he felt ‘sheer blind panic’ after realising the 15-month-old pet had climbed out of his bedroom window. Scott, who is the managing director of GSC Construction, said: ‘I had left for work and I was over the other side of town on my way to one of the sites when a neighbour rang and said: “Where are you?” ‘When I said I was at work and asked her what the matter was she told me: “Your dog is on the roof”. ‘I just said, “You’re kidding, what do you mean?” and she explained Gary was just walking about on my roof. ‘There are a couple of cats on my street and he normally sits in the window. All I could think was if there are any cats kicking about he will jump off the roof.